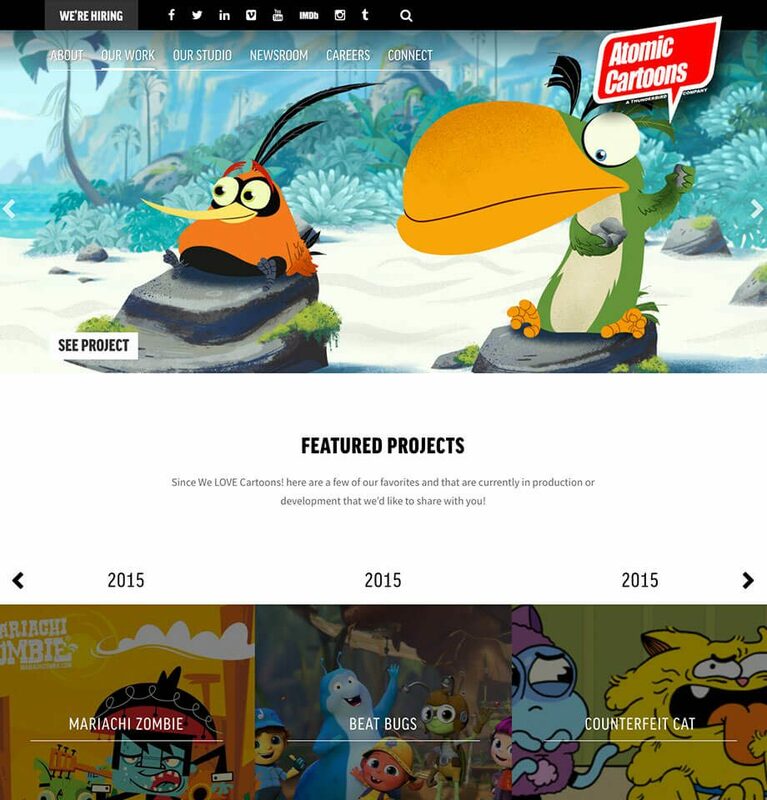 Atomic Cartoons is an award-winning, Vancouver based, animation studio. They produce world class animations for clients like Disney, Marvel and Cartoon Network. 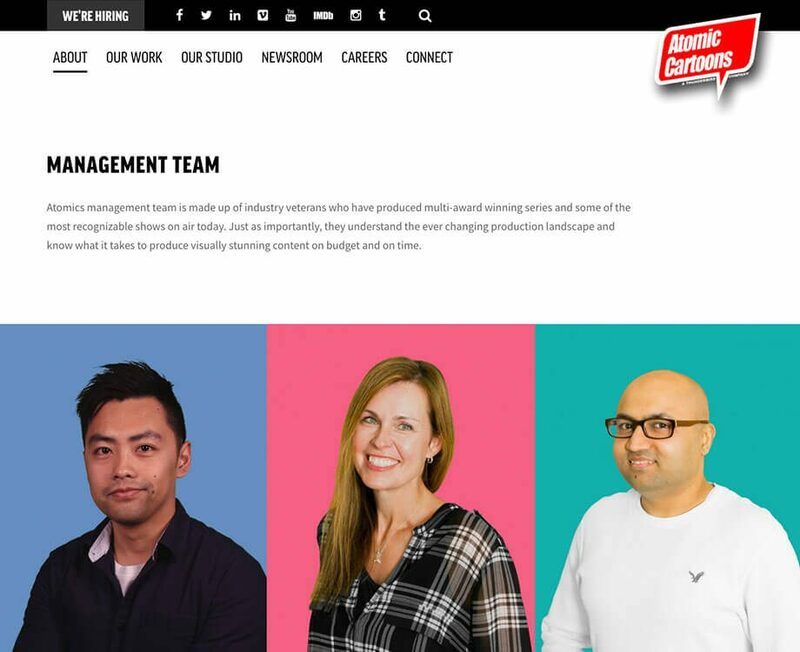 Atomic came to us looking for an update to their websites design in 2015. Our goal at SplitMango was to help design a website that would give them an online image to match the amazing work they produce. Throughout every step of the process we wanted to create beautiful web designs from a user focused perspective. All of our hard work and collaboration Lead to a site that brought the brand to life with engaging animations, spectacular video and modern website design. The new website lets users have fun with the studio and their work, as they quickly find their way around projects, company information, job postings and more. Atomic Cartoons creates visually stunning experiences for their audiences by bringing the characters and worlds of their work to life. 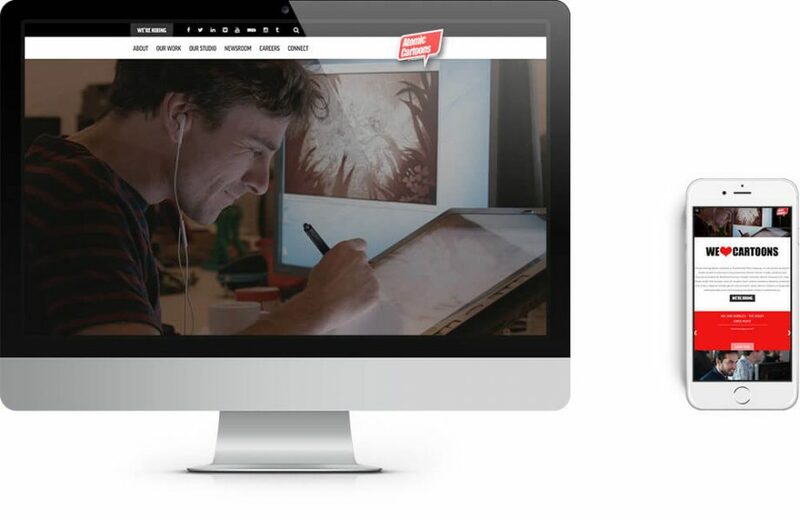 We needed to build a website that captured the excitement and storytelling that goes along with their animations through images and video. From the moment a visitor landed on the website we wanted them to feel as though the site has come alive and is inviting them into Atomic Cartoon’s community. To solve this, our web design team designed the site’s homepage with a looping video that showcased the studio and their work. Located in the False Creek area of Vancouver, the company’s culture needed to be displayed prominently as well and a video was also chosen for this. The result was a custom built and styled video player that could be used across the site for many purposes. Being a company that brings smiles to so many people we wanted to bring a sense of delight and playfulness to the studio’s website, and were able to provide this through animations and interactivity. On the team page you can see design philosophy come through when hovering over the images of the management team. These design ascetics and more like them are seen throughout the site. Each one adding the sense of discovery designed to align with branding into each area of the site. Delighting users was just one of the goals for Atomic’s redesigned website. They also wanted to make it easy to advertise new opportunities and accept quality applications from new talent. We wanted to make the process of finding a career at Atomic easy while maintaining the overall fun feeling of the site. The careers section was designed and built to include videos of tips for applying, making sure that applicants were fully prepared to put their best foot forward. This assured the Atomic employees who receive the applications would have all the information they need to make a quality judgement about the new talent they were bringing on board.